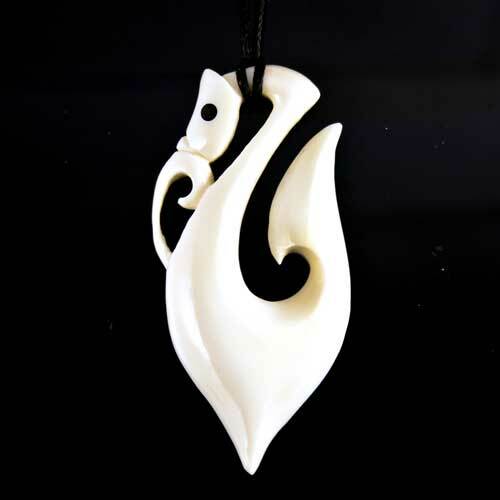 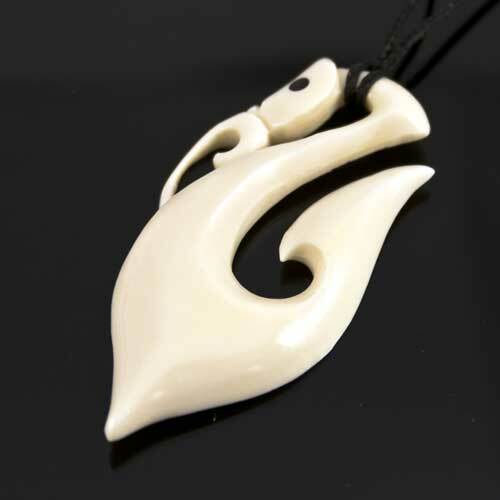 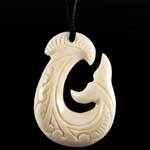 A beautiful hand crafted Hei Manaia and Matau (Fish Hook) bone carving necklace, the pendant also features New Zealand Paua shell inlays for the eyes. 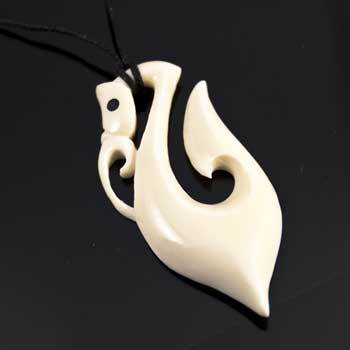 There have been many forms to depict the hook of Maui. 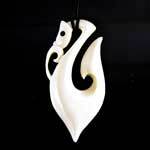 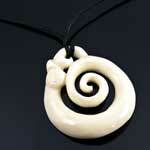 Maori legend tells of how Maui fished up the North Island of New Zealand using his magical hook. 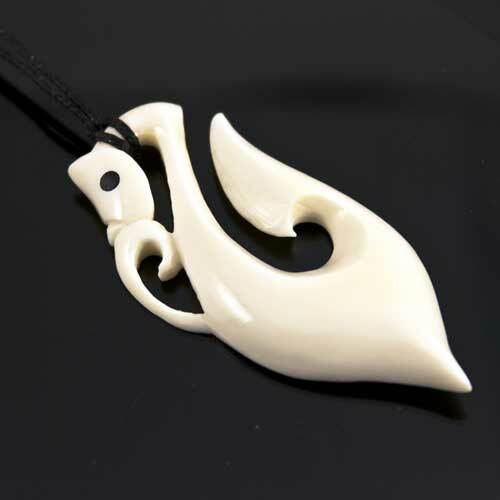 Today the matau (hook) is worn for good luck, bringing the wearer peace, prosperity and good health. The matau is also said to provide a safe journey across water.